Our President and one of the founders of Statewide Title, Inc., Harold K. "Hap" Roberts Jr., retired from Food Lion, Inc. (formerly Food Town Stores, Inc.) as Controller in 1982. He opened his own CPA business in 1983 at 115 N. Merritt Avenue, Salisbury, NC. On March 1, 1984, Hap and Annette Roberts and Jeanette Lassiter opened Statewide Title, Inc. in the same building as the CPA business. Over the years, the Company has grown to the extent that in addition to the building, which housed the business initially, the campus of the Corporate office has expanded and encompasses much of a city block around the first building site. We would like to share with you some of Statewide's history, highlights, and accomplishments since it was founded. The Company began as a family dream and has developed into a Company that functions as the Statewide Title family with our customers as a part of our extended family. Since its inception, the company's goal has been to provide the very best in quality and service to its customers. In 1991, Hap sold his interest in his CPA firm in order to concentrate more on expanding and improving Statewide Title, Inc. In 1992, marketing efforts were expanded to all 100 counties of North Carolina. STEC™ (Statewide Title Exchange Corporation) began offering services on 1031 tax-deferred exchanges. In 1993, the Technology Department was formed utilizing outside sources. In 1994, the Courier Service was begun, so that more personalized service could be given to our customers. At the end of 1994, the Legal Department was formed with the addition of Legal Counsel to the staff. In 1995, the first additional office outside of the Corporate office was opened. That office was the Greenville office, which is located in the eastern part of the State. In that same year, the publication of a monthly Newsletter and Legal Memorandum was begun and mailed to our attorney clients. In 1996, SMSI™ (Statewide Mortgage Services, Inc.) and StateNet™ began operation. Statewide Mortgage Services, Inc. is largely comprised of a referral service and other specialty services, including the ability to provide flood certifications to customers. StateNet™ is the network of attorneys throughout the state who work closely with SMSI™. StateNet™ is helping to ensure the attorney-state system of providing real estate transaction services to consumers in North Carolina. In 1997, the development of the website (www.statewidetitle.com) began. In 1998, the in house Technical Department began, and Statewide Information Services Corporation (SISCO™) was formed. The website took on a new look, and it has been further developed and refined to be a great resource to our customers. 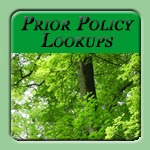 From this site, direct links can be made to research resources, including specific links to the Register of Deeds offices across the state that have online document lookup. Since this time, additional websites have been developed for STEC™, SISCO™, and SMSI™. In 1999, Statewide Title became the first North Carolina Title Company to offer internet-based online title products. Attorneys began submitting preliminary title opinions online through our web site. This product has been further developed to create final title opinions from commitments, general warranty deeds, lien affidavits and many other documents. In 2000, SISCO™ began creating the system by which all policy files for Statewide are scanned and saved to disk, thus eliminating the storage of paper files. The imaging of our internal policy files began in 2001, and since that time, specifically in 2003, this same service became available to customers for their files. Also in 2000, the Raleigh office was opened. In 2001, the Boone office opened. In 2002, an additional office was opened and is located in Kill Devil Hills at the Outer Banks. In 2003, the Franklin office and the Wilmington offices were opened. Also, STEC™ began offering services on reverse exchanges. Additional legal counsel was hired and is located in the Wilmington office. This is helping to facilitate the handling of the reverse exchanges. During the year, more human resource dollars were invested in all departments to maximize the quality products and service offered and delivered to our customers. During 2004, we began cross-training all of our personnel and continued the process in 2005. This will help ensure the quality and service our clients have come to expect over the past 21 years for many years to come. While we have seen many changes within our industry, rest assured, Statewide Title is here today and here to stay. In 2005, Statewide Education Services (ED) was formed with its purpose being to promote and provide education to all professionals involved in all facets of real estate transactions. In 2006, the Legal Department was expanded to include three legal counsel. Offices were opened in Asheville and Morganton. In 2007, Statewide increased claims awareness and claims avoidance in our seminars and newsletter. The real estate changes and slowdown made 2008 a very challenging year. The Company continued to expand its technological capabilities and continued with the cross-training of employees, resulting in even stronger quality and service to its customers. In January, 2009, the Statewide Title Newsletter and Legal Memorandum went "green" by publishing solely online and e-mailing to readers. Interest rates continue to be low, which has sparked more activity in real estate refinances. January 2015 - Harold Knox (Hap) Roberts, Jr. has been notified by the American Institute of Certified Public Accountants that he has attained the Chartered Global Management Accountant (CGMA) designation. CGMA is a joint venture of the Association of International CPAs and The Chartered Institute of Management Accountants. The CGMA mission is to promote the science of management accounting on the global stage. Roberts, also a CPA, is President of Statewide Title, Inc. with headquarters in Salisbury. At Statewide Title we do not participate in directed or controlled business arrangements. We feel it should be your choice to decide on your service providers, title insurance included. We promise to continue to strive and earn your business each and every day. Thank you for choosing Statewide Title!